Country Animal Clinic has been in operation for more than 10 years. Its focus is holistic and includes preventative services like sterilisation, vaccination and microchipping as well as sophisticated surgical and diagnostic procedures. We also offer nutrition advice, emigration assistance, wing, beak and nail clipping for birds and we have a pet grooming spa next door. Country Animal Clinic is co-owned by Drs Hilldidge Beer and Ingrid de Wet. Dr Beer has been a veterinarian in the Helderberg area since 1991. She also owns EberVet Pet Clinic in Strand and seven Vetshops. Her passions are surgery, animal welfare and health care intervention at primary level. 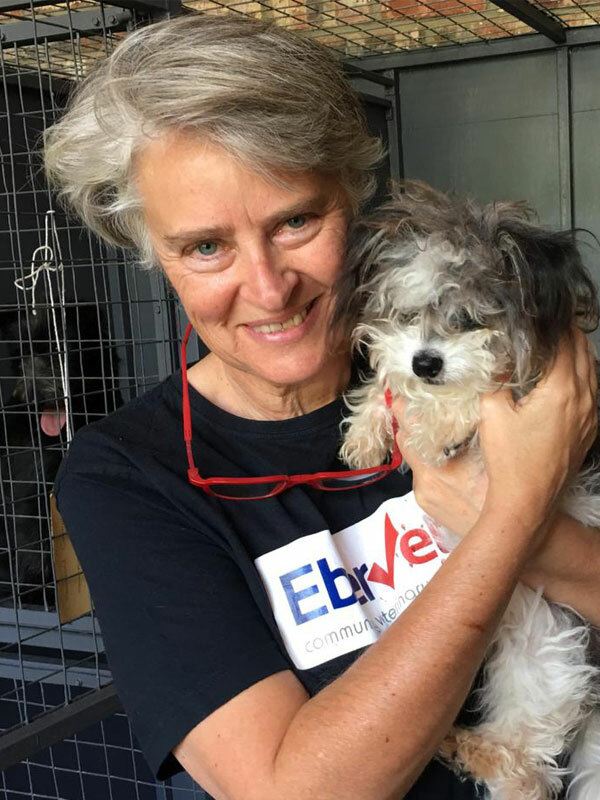 Several times a year, Dr Beer devotes her time and surgical skills to sterilisation outreach clinics in small towns across the Karoo, Helderberg Basin and Overberg. My mission is to provide veterinary healthcare to everyone who cares about their pets regardless of their income, and to provide clients with the right kind of knowledge and information to make informed decisions about caring for their pets, helping them live longer, healthier lives. Dr Beer lives in Somerset West with her two dogs Nonna and Stoffel and when not working she likes to take the open road on her Harley Davidson motorcycle or in her Landrover. 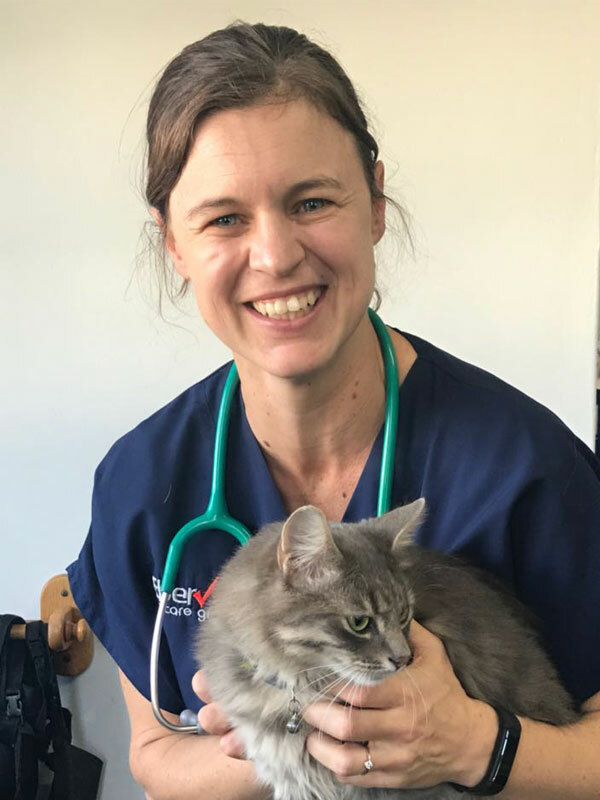 Dr Ingrid de Wet has been at Country Animal Clinic since 2011 and is passionate about working with pet owners to help them better understand the needs of their pets. Understanding why our animals behave the way they do can greatly improve the animals' quality of life and enhance the owner-pet bond. Dr de Wet is also co-owner of Cottage Veterinary Clinic in Gordon’s Bay which is run by her husband, Morné. They have a daughter, Elizabeth, and three dogs. What gets me up in the morning is knowing that I can make a difference in animals' lives. I love seeing an animal walking out of the hospital with a waggy tail, knowing that a few days before it was desperately ill but that our team pulled together and helped make it well. 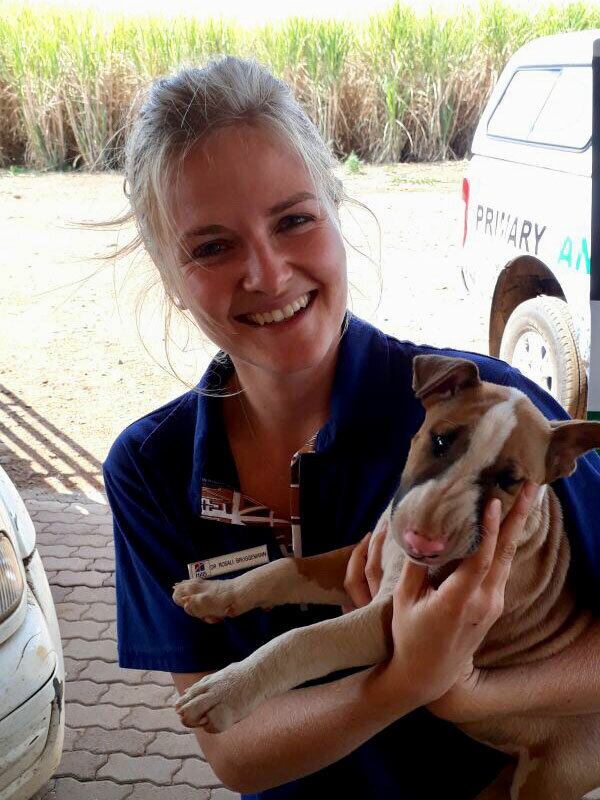 Country Animal Clinic is operated by resident vets Drs Ingrid de Wet, Adri Rossouw and Rosali Bruggemann. We focus on vaccinations, health checks, deworming and parasite control and microchipping. A good quality diet is the foundation of good pet health. We stock an extensive range of pet foods and special prescription diets and our staff can assist you in choosing the right food for your pet. We also offer feeding guidelines and healthy weight loss advice. Our surgical procedures are conducted in a dedicated theatre with top-of-the-range equipment. We offer routine surgery like spays and castrations as well as more complicated procedures such as intestinal, bladder and some orthopaedic operations plus emergency procedures. We have in-house digital x-ray and ultrasound facilities and we offer laboratory testing, enabling us to make more accurate and comprehensive diagnoses. Most pets over the age of 5 have some form of dental disease which can lead to more serious illnesses. We offer regular dental checks with scaling and polishing to keep your pets’ teeth in great condition. Dr Ingrid de Wet qualified as a veterinarian in 2009 and has been at Country Animal Clinic since 2011. She is passionate about preventive care. Though her veterinarian Dad practices on the KwaZulu-Natal coast, Dr Rosali Bruggemann has chosen to join us in Somerset West. Dr Adri Rossouw was born and raised on a West Coast farm but enjoys small animal medicine. She is our ultrasound specialist.